Having grown my own printing and design company consistently for 20 years and been privileged to work with other companies equally successful, there is one common factor in their success. And the most amazing thing is that this is within the reach of all businesses and that is, Planning. Every year I would dedicate two to three days, out of the business, to plan specifically for the year ahead but also have a view to the long term. The plan, most importantly, began with my own personal aspirations and motivations. The importance of having a motivated MD and board is vital to the success of the Plan. All areas of the business were looked at in detail from Finance, Operations, Personnel andMarketing. 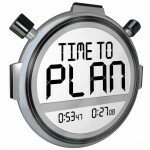 Clear objectives and timelines would be committed to in a written Plan. Of utmost importance was an accurate cashflow document, and here we would have several versions to cover all scenarios. Once we had finalised the plan we would discuss it with the staff, so that they knew the vision for the business and the direction we headed. If everyone buys into the plan then it is sure to be delivered and the managements life becomes easier and focussed on external factors and profitable growth. As important as building the plan is reviewing it regularly, ideally once a month at a formal management meeting. Many factors can change quickly, a member of staff leaves, a client moves or some game changing technology becomes available. As a business you want to be able to react quickly and understand the implications of these changes. By having a clear and concise Plan, that you work closely with, will give you confidence that the business is doing the right thing in these challenging times. 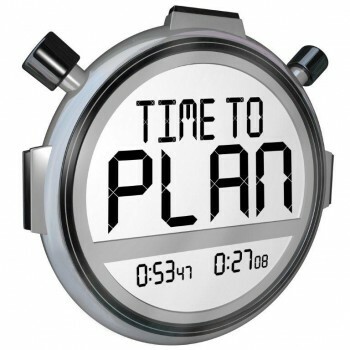 I hate to use cliches but “Fail to Plan and Plan to Fail”. A good Plan will most definitely help bring success and give the business vision and direction, and most importantly is something we can all commit to.